Once again the Enlightened Perl Organisation will be sponsoring the hosting server for the Strawberry Perl initiative (http://strawberryperl.com/). 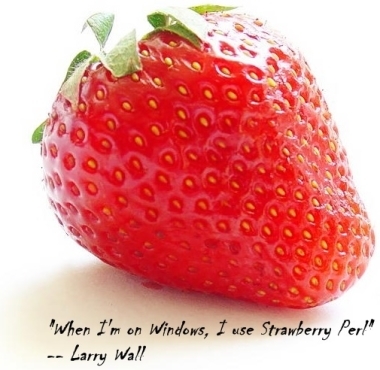 Strawberry Perl is the Open Source Perl installer for Windows which allows you to run Perl on Microsoft’s premier platform while monitoring as close as possible a performance as you would expect in a UNIX environment. It is a great honour to be able to support this project for another year.